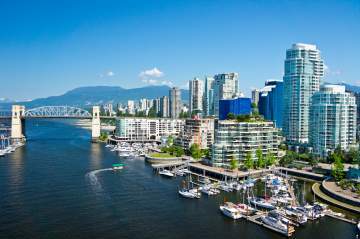 Vancouver, British Columbia, Canada is widely acknowledged to be one of the most beautiful cities in the world. Vancouver can be described as a sophisticated metropolis nestled in a spectacular natural setting. It consistently ranks among the elite in lists of international most-liveable locations. Its broad multicultural population furnishes endless cosmopolitan shopping, dining and entertainment opportunities. Yet amongst the diversity there is a distinct, consistent West-Coast ethos and vibe. Special conference rates starting at $319.00 CAD per night are offered to conference attendees, exclusive of taxes. Room reservations should be made directly with the hotel. Delegates must specify their affiliation with the VANCOUVER IMAGING REVIEW or the applicable group rate may not be extended. All reservations must be made by August 20, 2018, as rooms will not be held beyond this date, except on a space available basis.